The Hidden Advantages And Limitations of Remy Hair And Non Remy Hair According to Hair Experts! 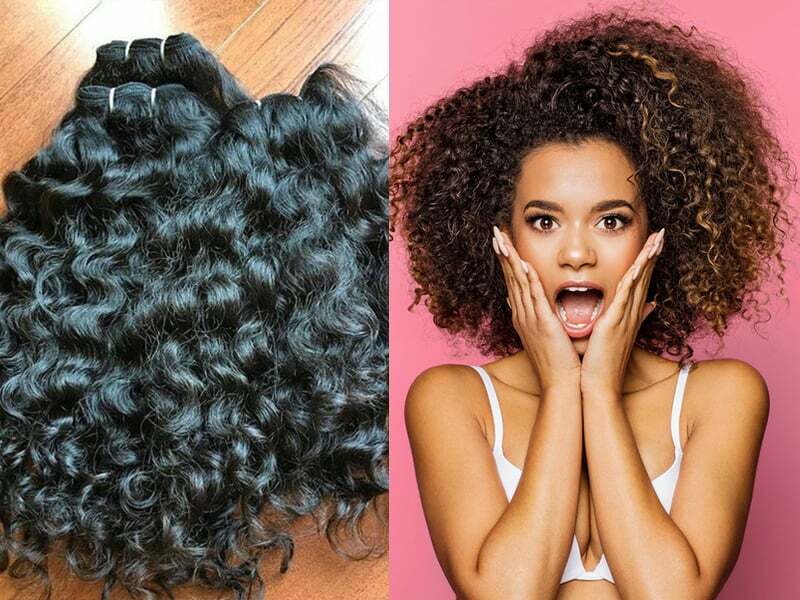 Home	→ Blog → HAIR EXTENSIONS → The Hidden Advantages And Limitations of Remy Hair And Non Remy Hair According to Hair Experts! Nowadays, you can find so many phrases “remy hair”. There are a large number of different Remy hair types. 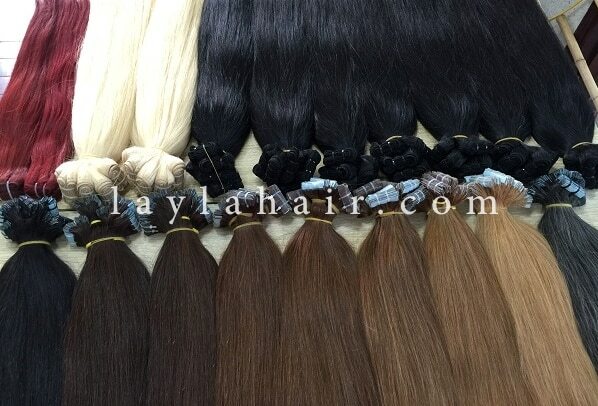 There are so many types to choose from, but not all Remy hair types are a high-quality product. So, you want to know what is Remy hair and non-Remy hair. Remy hair and non-Remy hair have advantages and limitations which make them the right choice at different times. Here are the facts so you can know what is Remy hair and non-Remy hair. 4 What to expect from Remy human hair buns? 5.1 So how to slay the look with these items? 7 How to get the best bang for your buck with Remy human hair buys? This hair is of the highest quality and comes from a single donor, which ensures consistency in texture. The hair cuticles are intact, in one direction and consist of cuts which are the same length. This provides a smooth texture and allows the hair to last longer and style more naturally. Remy hair is collected in a method in which all hair strands stay aligned in the natural direction as it grew, top at the top, and ends at ends, to maintain the natural texture pattern and cuticle direction. It is easy for you to comb especially after washing it. What is Remy hair extensions? Non-Remy hair is collected from the floor of temples, salons, and random suppliers. Cuticle directions become mixed, causing inevitable shedding, tangling and matting problems. The hair initially feel silky and soft, however, after a few washes the hair feels very brittle and starts matting and tangling. Problems will arise with non-Remy hair after a few washes and will not last beyond a few washes and cannot be reused. Since the cuticles stripped and not intact, the hair extensions are unable to tolerate color treatment or heat. What to expect from Remy human hair buns? Remy human hair buns are another brilliant attempt from hair manufacturers to reduce women’s burden for hairstyles in the morning. Remy human hair buns are merely constructed. They look like hair simple hair bands with buns around. These fluffy hairs guarantee enhanced hair density, a soft bun. With the simple construction, you can position the bun wherever you feel like, whether it is on top, in the middle, or behind your ears. The versatility of Remy human hair buns is highly appreciated by busy ladies all over the world. With Remy human hair buns, the quest for making a perfect updo style will fail to bother you. You don’t have to take hours to figure out how to make a simple bun for a meeting or a party. Another highlight of ready-made hair buns is the choices of color. Whether you need a red auburn or light brown to match with your hair, you can find it on the shelf. Since the buns are made of Remy human hair, they come with various hairstyles as well. There are messy buns, or sleek buns, suitable with different social settings. Messy buns will be more compatible with casual parties with friends and colleagues; whereas, sleek buns are appropriate with business and formal settings. The later is perfect for receptionists or personal assistants. Last but not least, you don’t have to pay a fortune for Remy human hair buns. Unlike hair extensions and wigs. These cute little things are very affordable. They are hands-down must-have items in your dressing table. To sum up, we would recommend human hair buns to anyone who wants to execute updo hairstyles in a flash. These products are highly flexible, versatile, easy-to-use, and most importantly purse-friendly. Remy human hair buns are available in most hair salons, hair wig shops, both online and offline. If you only want to buy one or two pieces, it is better to buy them in hair shops. In case you want to start a hair business, it is better to reach out to hair manufacturers overseas. Bangs or fringes have come back alive and refused to leave the stage for good. We have witnessed the invasion of curly fringes, short bangs in the red carpet, and seen Trace Ellis Ross, Dakota Johnson, Emilia Clarke, and Cardi B changed their hairstyles just for the bangs. Trace Ellis Ross, Dakota Johnson, Emilia Clarke, and Cardi B changed their hairstyles just for the bangs. However, the ultimate secret for such rapid and bold change from celebs is Remy human hair bangs extensions. That means they don’t have to do anything with their real existing hair. All they have to do is to buy extra Remy human hair bangs extensions and wear it along. That’s is your way out too! Before sitting in the chair in your favorite hair salon, you have many things to consider, whether it is your facial shape, your readiness to have hair all over your forehead and so on. Remy human hair bangs extensions can help you get out of the great questions. So how to slay the look with these items? First and foremost, you need to prepare your hair thoroughly. Part your hair thoroughly in the middle. This way you can apply faux bangs much easier. Do not let your hair get in the way during the process. Use dry hair shampoo to clean the bangs and your hairline to make the process less daunting. The last step is to secure the clips to your natural hair so that the bang extension can stay in place. Are you looking for Remy human braiding hair or Remy human hair body wave? Are you feeding up with wholesale vendors who sell low-quality products? Do you want to start your own hair business with the help of experts? Layla Hair is the place you can entrust. We are trying to build up a reliable and robust business owned by women to empower and beautify women. Best price for loyal customers. How to get the best bang for your buck with Remy human hair buys? 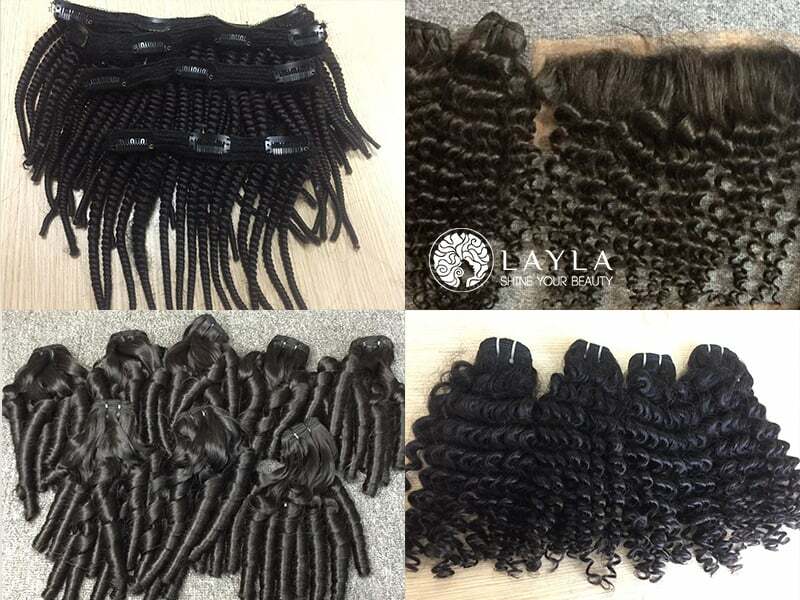 If you decide to shop with Layla Hair, there are some tips for you to get the best out of your deal. Map out with you want to do with your order before talking to a sale person. This is such an important step to take before placing an order. Once you have a glimpse of what you want, the communication will flow effortlessly, and the chance of misunderstanding diminishes. Ask for the customer policy! We don’t want to keep it a secret from you. We offer every customer, from new to old ones, an exclusive customer policy that will make you better off from doing business with us. Asking your sale person to hand you the policy before you even place the order! Ask for the return policy! We want to maximize customers’ satisfaction when shopping with us. That’s why, we have created the return policy for any product that doesn’t match requirement, has flaws and so on. So after you know what is Remy hair and non remy hair, I hope you can choose well.